But grace is not the whole of God’s character. Think of it like a coin with two faces. (If at this point any Batman or Merlin references came to mind, have a quick grin at your brilliant geekiness.) On a British coin, we have the queen’s profile on one side and then another image on the other. They are different yet part of the same whole. While God’s character is infinitely more complicated and multi-faceted than a coin, this is a fantastic place to start from when describing mercy and grace. It is so easy to focus on grace because we love gifts. That is exactly what grace is; God’s gift to us of eternal life. The moment that Jesus rose from the dead, victorious having defeated sin and Satan, we were given eternal life free from death (John 3:16). No pits or gnashing of teeth for those who accept and follow Christ (Matthew 13:36-43). Yet grace remains only half the picture, just as Easter Sunday is only half of the Easter story. What about Good Friday, the pain of the crucifixion, and mercy? Or how about the very reason that Jesus died on the cross for us was so that we would not die (the punishment we deserve for sin)? The cross is the defining image of mercy because it was there that God took what we, humanity, deserved and put it all on His only Son. 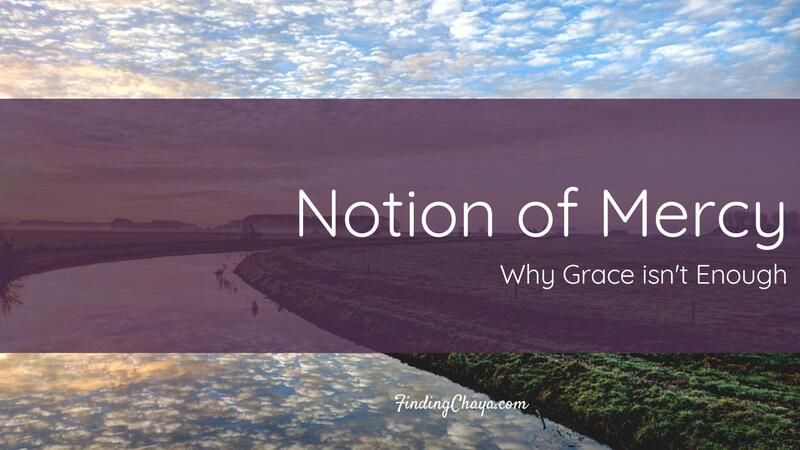 Grace isn’t enough because it is only half the picture. Admittedly, it is the half that we prefer. It’s the rays of light and reflections on water in a beautiful painting. Yet you can’t have a painting that only shows light. The subject would have no definition because there wouldn’t be any contrast. Mercy provides that definition in our lives. It is the shadow of what could have been and the joy of realising, understanding, and knowing we are saved from it. Each of these passages comes as a package: MERCY AND GRACE. One picture of God’s good good love for His children. 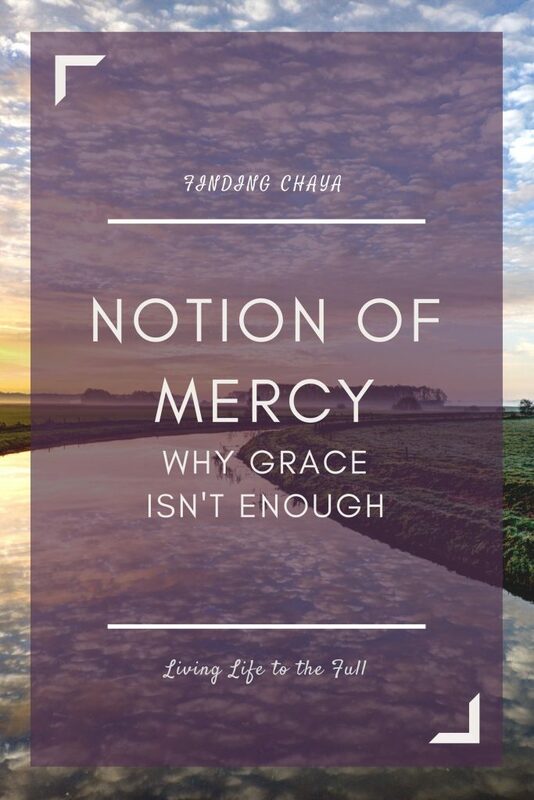 Grace is not enough but neither is mercy. We need them both as a gift from God.